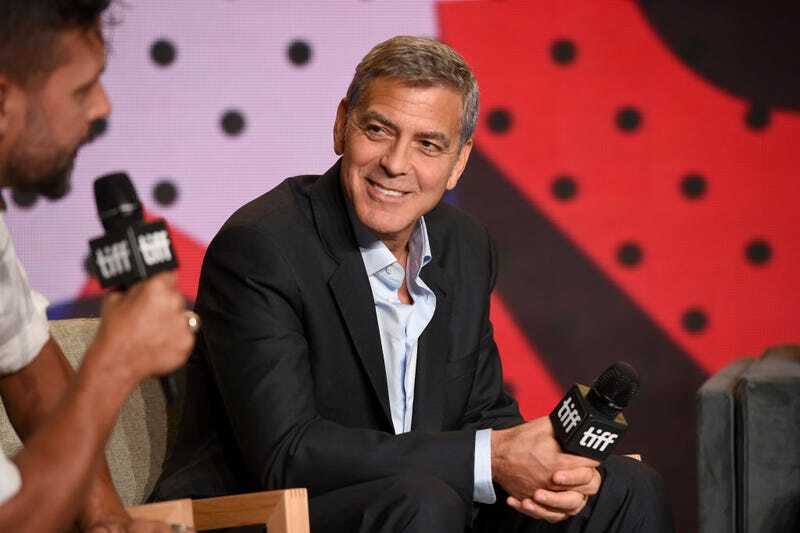 Hulu spent the weekend rectifying any perceived shortage of George Clooney shows in its digital coffers. Not only has the streaming service snapped up the rights to all 15 seasons of ER, which loosed Clooney’s charm upon the world (on his second try; let’s not forget Baby Talk), but it’s also given a series order to the Catch-22 adaptation he’s starring in and directing. Deadline reports the six-episode limited series (although who knows what “limited” means anymore) is being adapted from Joseph Heller’s classic novel by Luke Davies (Candy, Lion) and David Michôd (Animal Kingdom, the 2010 movie and its subsequent TV reboot). Clooney, who’s sharing directing duties with Grant Heslov, will star in this WWII story as Colonel Cathcart. There’s no word yet on who will play “artful dodger” Yossarian, who tackles the bureaucracy from his post as U.S. Air Force bombadier. But in Mike Nichols’ 1970 adaptation, Yossarian was played by Alan Arkin, which we find kind of poetic since Arkin’s son Adam starred in Chicago Hope, ER’s medical drama competitor in the ’90s.